Ohio woman Tyra Patterson, the subject of the Guardian’s 2016 three-part look into the flaws of the U.S. criminal justice system, was released on parole on Christmas Day after serving 23 years for the murder of 15-year-old Michelle Lai, despite not being the one who killed her. Patterson’s case is a slightly messy one. In 1994, she—then 19—participated to an unclear degree in the assault and robbery of a group of teenage girls, Lai among them, that ended with Lai shot and killed. It was 21-year-old LaShawna Keeney who pulled the trigger, but because Ohio law states that any involvement in a burglary resulting in murder can lead to a murder charge, Patterson ended up sentenced to more time than anyone else involved—Keeney included. In the 23-years she spent behind bars, Patterson maintained that she was not involved in the burglary, and that her original confession, recorded and played for the jury, was coerced. Keeney and fellow participant in the robbery, Kellie Johnson, both state that Patterson is innocent and it is known that it was Patterson who called 911 after the shooting occurred. Many—including Michelle Lai’s sister, Holly Lai Holbrook (who was there during the robbery) and the jurors who convicted her—have advocated for her release. 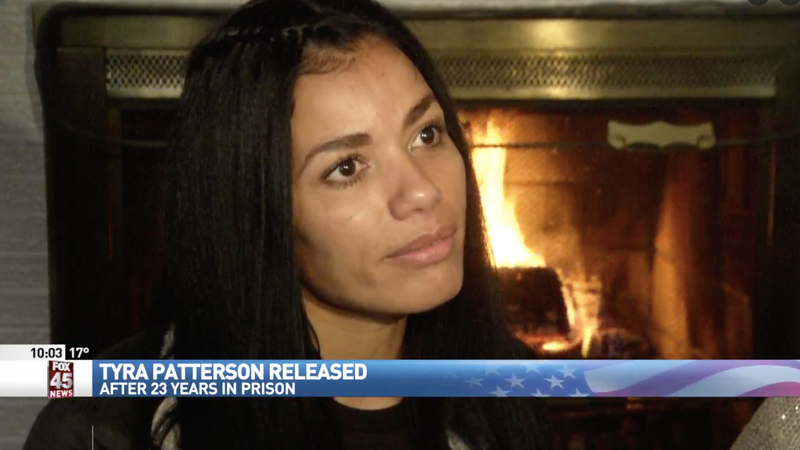 Patterson, now in her early 40s, has yet to be exonerated and was released on parole. “Every time someone signed a petition, sent up a prayer...they literally gave me that extra breath to keep moving forward...To sit here with my best friend and my mother is the best part of my Christmas,” Patterson—now at home—told Ohio’s Fox 45. Patterson will soon begin work at the Ohio Justice and Policy Center in Dayton.